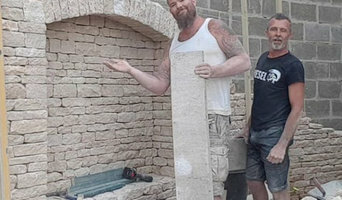 Masters in the craft of dry stone walling, using traditional and modern techniques we create beautiful stone walls and features that will stand the test of time. We believe our high levels of workmanship and commitment is outstanding, so if you require a well managed project with superior levels of customer care then we are the company for you. Made Better Driveways Ltd is the most respected and affordable property care service provider in Gloucester. 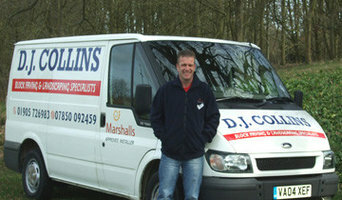 We are experts in paving, landscaping, roofing and all aspects of property maintenance. We offer free estimates, free site surveys and free design and planning. Whether you are looking for block, tarmac, sandstone, granite, limestone, slate or concrete you can be confident that we will have something that will meet the requirements of your project. Our range of materials, styles and colours will guarantee your total satisfaction. Pavescapes is India's leading independent supplier of high quality, ethically sourced natural stone landscaping products. What services can concrete specialists, pavers or stonemasons in Teddington, Gloucestershire offer me? A paving expert can design, plan and build a wide range of projects, from paths and walkways to suntrap spots such as courtyards. There is a huge range of materials, colours and patterns out there, so why not contact some pavers and stone experts to see the options they provide. Pavers or concrete specialists will be able to recommend the most appropriate paving stones to suit your property, local climate and street style. That might be a uniform stretch of concrete paving slabs, something more textured such as patterned concrete, a classic herringbone formation of clay paving bricks, or Indian sandstone, which will acquire weathered character as the years pass. The right stone or paving expert can also help you with concrete repair issues involving anything from walls to lintels, while a stone cleaner might be just the man to give your period property a facelift. As well as pavers, Teddington, Gloucestershire stone specialists can supply natural stone wall cladding, provide stone indoor flooring and stonemasons in Teddington, Gloucestershire could even handcraft stone fireplaces, create worktops or sinks in stone and design beautiful stone architectural pieces for your home. You can find all sorts of stone, concrete and paving experts with Houzz, so if you fancy some paving indoors or outdoors, or you’d like some stylish stone added to your home, this is the place to find an expert for the job. How do I choose the right stone, concrete or paving expert for me? Browse Teddington, Gloucestershire pavers, stonemasons and concrete specialists in our Find Pros section. Compile ideabooks containing images of attractive paving stones, edging stones and concrete paving slabs, as well as clever garden paving and rockery ideas. Make a shortlist of at least three relevant paving experts or stonemasons in Teddington, Gloucestershire and then approach them for a free consultation. You can also ask friends and relatives for recommendations. Whatever you do, make sure you have a loose brief and budget, a few questions about things such as maintenance – how to remove heavy stains such as oil or bird droppings for example – plus a few visual references to spark conversation with your paver or stone specialist. Can I see examples of your previous work please? Are you exclusively a paver or do you supply or create other stone work? If you are purely a paver, which stone suppliers or stonemasons do you work with? Will you be working on the project yourself? What would you say is the most difficult part of this project and how do you propose to tackle that? What range of materials and styles will I be able to choose from? How long will the job take and how much disruption is there likely to be? How long will the sealant last? Will the surface fade or crack? How easy is it to maintain the stone paving and/or concrete? What type of insurance are you covered by? Find a stonemason, paving expert or concrete specialist on Houzz. Narrow your search in the Professionals section of the website to Teddington, Gloucestershire stone, paving or concrete specialists. You can also look through Teddington, Gloucestershire photos by style to find a design you like, then contact the paver or stonemasons in Teddington, Gloucestershire that worked on it.